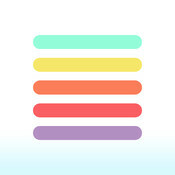 Normally priced at $1.99, Thinglist has just gone free! If you’re interested in more productivity apps for your iPhone and iPad, check out our selection of the Coolest Productivity Apps. Thinglist is your "want to-do" list. A super-simple way to remember things in your personal life.